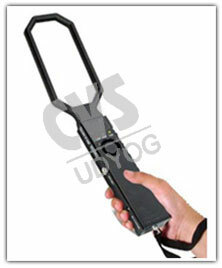 Metal Detectors are capable of detecting both ferrous and non-ferrous metals. 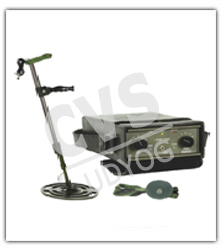 They are easy to operate and do not require any adjustment. A loud beep is emitted on detection of metal. They are highly sensitive and consume very little batteries power thus providing several days of operation on one overnight charge of batteries through the special battery charges provided. CVS 02 Construction -	ABS Moulded Search head Powder Coated Cabinets. Power -	2 × 1.2 Volt Ni-cd/Dry Cells. Detection -	Audio signal through piezo electric buzzer. Indication - On & Low Battery through common LED.